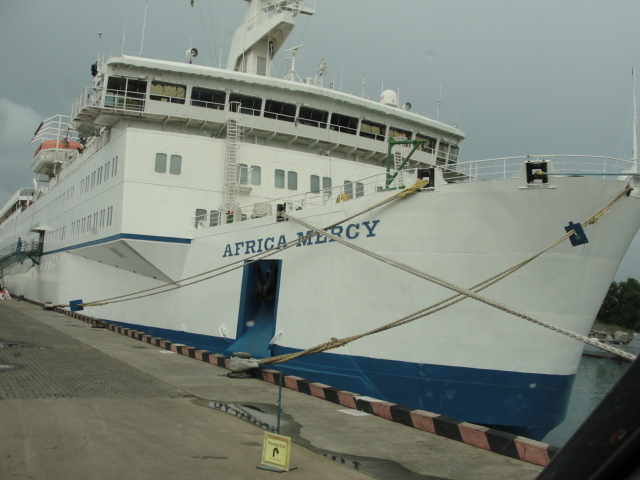 The volunteer doctors, nurses, and staff members aboard the Mercy Ship provide much-needed services to ailing people around the world. 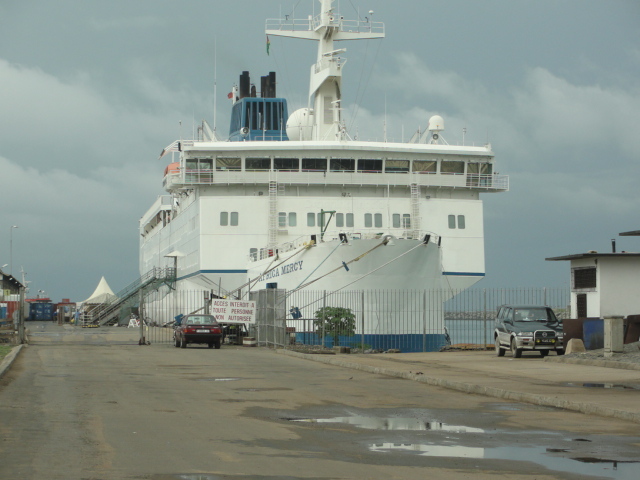 They docked in Lomé during the fall of 2009 through the spring of 2010. 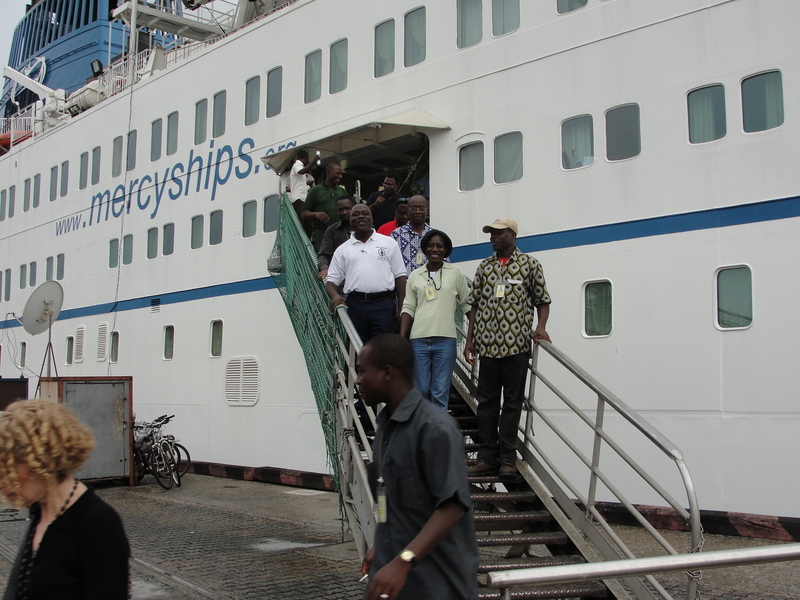 Norm and I – along with some of our Togolese friends – were fortunate enough to have the opportunity to tour the ship. 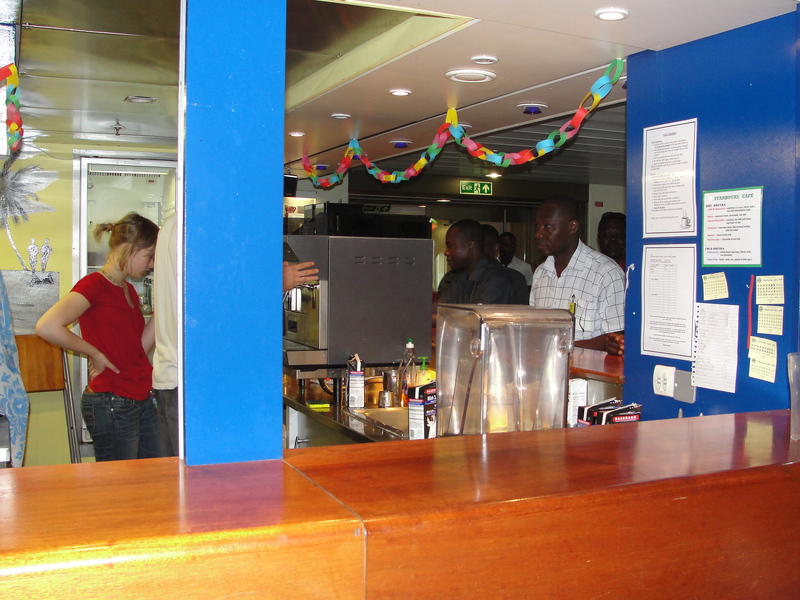 The doctors performed surgeries to correct cleft palates, club feet, and other deformities that go untreated in poor countries. 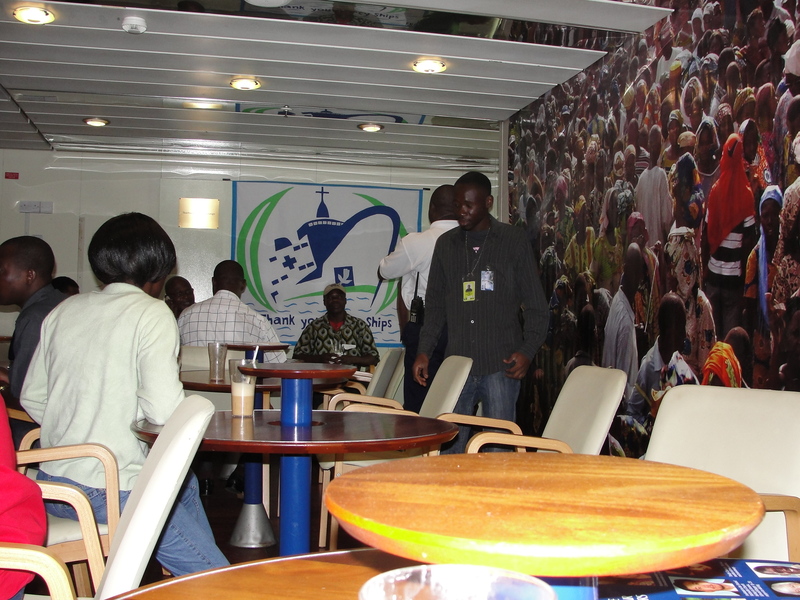 There was a bona fide Starbucks on board the Africa Mercy – the only Starbucks on the entire continent! I was so happy to finally have a Starbucks café au lait, such a small luxury that I had previously taken for granted. 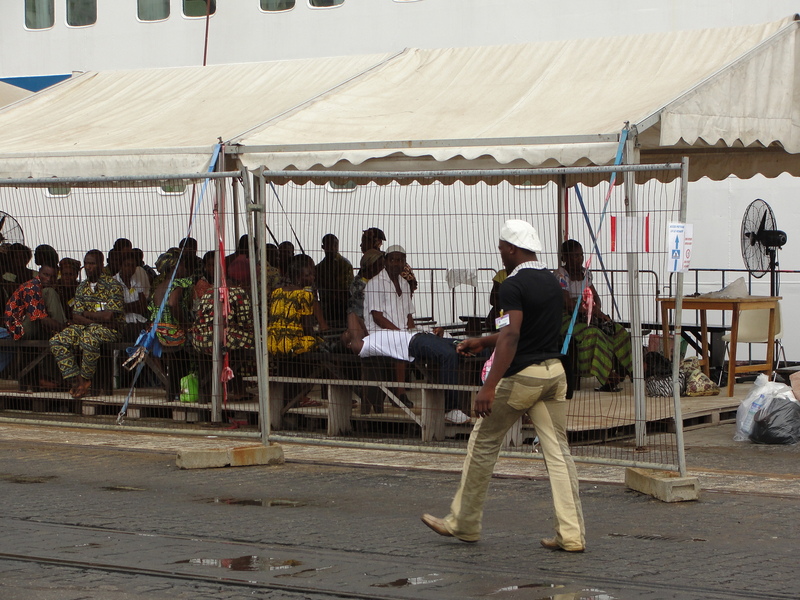 So many people waited for the chance to be examined by a doctor – many for the first time in their lives. How fortunate the world is to have people dedicated to bettering the lives of others. We left the ship, once again humbled by human potential.